As many as three-fourths of insurance policies sold by 2020 will be influenced by digital channels. 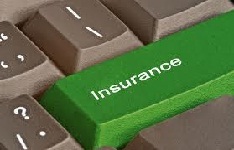 Mumbai: As many as three-fourths of insurance policies sold by 2020 will be influenced by digital channels, says a report by global management consulting firm Boston Consulting Group and Google India. "We estimate that digital adoption could result in potential savings of 15-20 per cent of total costs in the case of life insurance and 20-30 per cent in the case of non-life, thereby showing the path towards profitability for the industry," said Alpesh Shah, BCG India senior partner and director who authored the report. "While online purchases represent a small component of insurance activity in the country today, the overall influence of the Internet on insurance product purchase is already six times and growing rapidly," Google India director for BFSIs Vikas Agnihotri said. As insurers seek new avenues to grow profitably, they have a unique opportunity to embrace and benefit from the digital wave, which also addresses many key issues that plague the offline world today, Agnihotri added. Not only will insurance sales from online channels grow 20 per cent from today by 2020, but overall Internet influenced sales would be Rs 3-4 trillion (Rs 3-4 lakh crore), as per the report. The online population forms a brand new market that cuts across borders, it added. Our studies have shown that two out of every third user researching for a financial product ended up changing their mind about the brand or the product during their pre-purchase period, Agnihotri added. The inefficiency of digital assets has led to emergence of online insurance aggregators that have seen four times growth in the value of life insurance premiums and a seven times growth in the value of health insurance. Motor insurance sales that were relatively small in 2011-12 have also gone up four times within the last year itself.